An Academician of the Chinese Academy of Sciences, Mr. Yang was graduated from the major of Theoretical Physics of Peking University in 1965. Since 1967, Mr. Yang has held the following titles as, following a chronological order, deputy researcher, researcher, doctoral tutor, deputy director, director at the Institute of Physics Chinese Academy of Sciences. 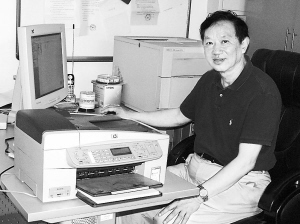 During that period of time, he became a visiting scholar at Lawrence Berg National Lab of the USA and a visiting professor at the Department of Applied Sciences of Harvard University. He has made pioneering achievements after profound research in multiple areas of the domain of Optical Physics; meanwhile, he has made some important contributions in several areas of research like Theoretical Physics and Condensed Matter Physics. These important contributions include, for an example, the following aspects such as the problems of optical general transformation and phase recovery, the theory of ultra short pulse Laser line broadening, the research of non-linear optics of the surface and interface, the research of laser molecular beam epitaxy and oxide film, and the research of high temperature oxide super conductors. He has published over 500 academic papers in journals at home and abroad and he is the recipient of 5 awards for his technological achievement by the state and 5 by the Ministries.